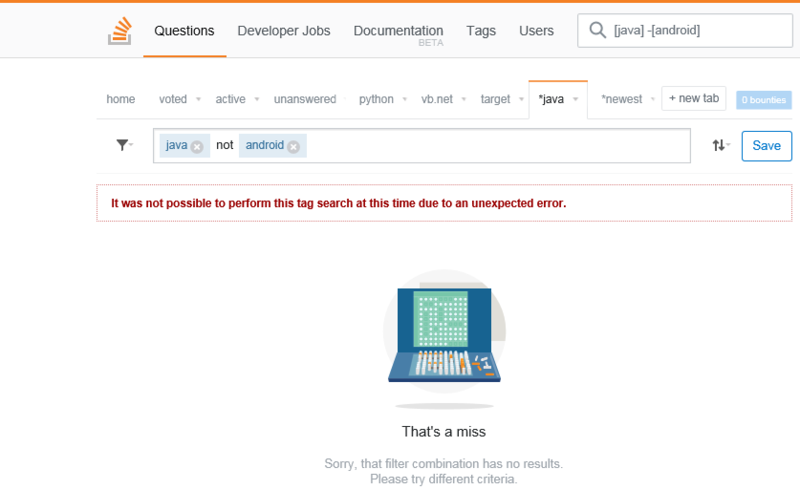 I am trying to set up a tab for questions tagged with java, but not android. If I type [java] -[android] into the search bar, I get the list I expect. but if I type java not android into the tag bar, I get this error message. Browse other questions tagged bug tags new-nav tag-search .